A not-to-be-missed solo exhibition of new paintings by one of Cornwall’s most renowned artists in recent years, ‘Andrew Tozer: Celebrating the Landscape’ opens tomorrow at Beside the Wave, Falmouth. 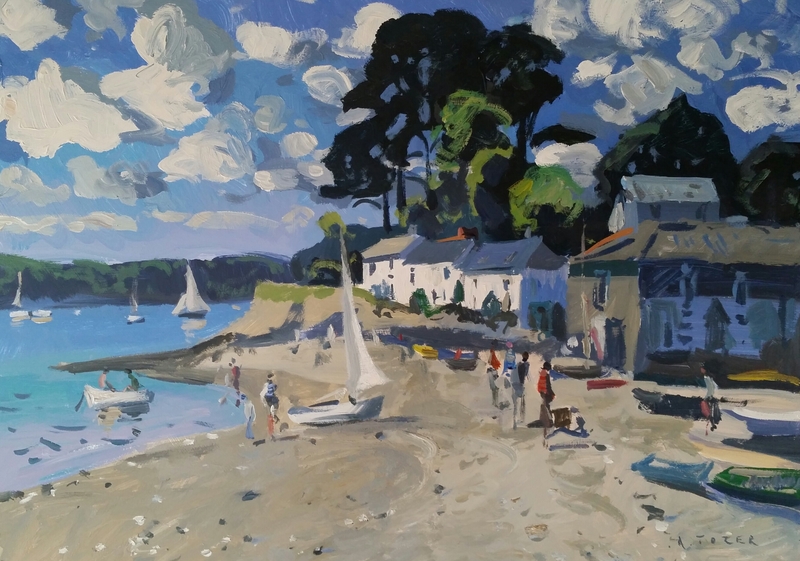 Born in Cornwall in 1974, Andrew Tozer’s personal connection to the Cornish landscape began growing up in a farming family. Spending a great deal of his time outside, it was during this early and prolonged exposure to the landscape that the foundations of his art were laid. Andrew trained at Falmouth School of Art and Design, University of Westminster and St Martin’s School of Art and Design then returned home to Cornwall to paint the places he loves. His masterful, vibrant paintings aim to reflect the nature of his surroundings in a simple and truthful way. The key to this for Andrew is working out of doors, ‘en plein air’, resulting in landscapes expressed with breath-taking immediacy, fleeting impressions rendered in such a way as to capture the essence of what’s there; animated by light and its transient qualities. Hailed as a master at depicting light on water, Andrew’s highly collected work has been exhibited widely throughout Cornwall and other parts of the UK. 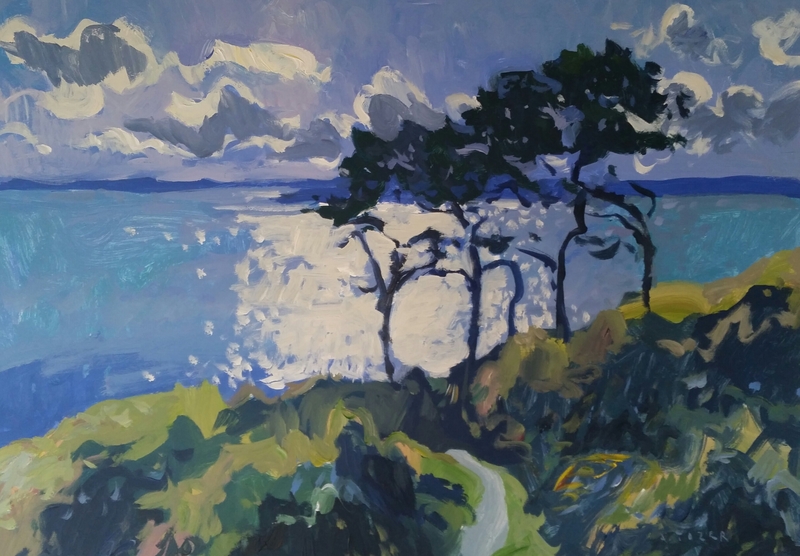 This new solo show ‘Andrew Tozer: Celebrating the Landscape’ runs until Thursday 13th August 2015 at Beside the Wave, Falmouth and will also be available to view on our website from tomorrow. Welcome to the new blog for Beside the Wave. 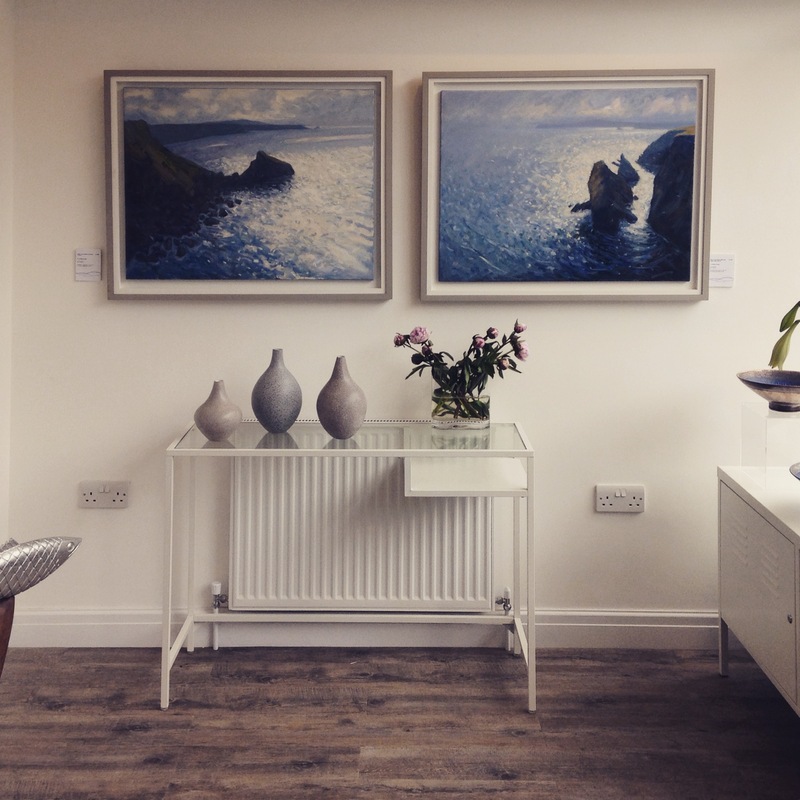 We are a leading gallery with a well-established reputation in exhibiting the very best of contemporary Cornish art, based in Falmouth, Cornwall and Primrose Hill, London. Follow us for updates and insights on our artists, exhibitions and events.